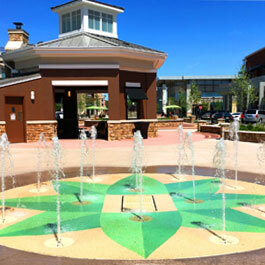 The interactive fountain is surrounded by seating for parents to take a break from shopping while entertaining their children. The retail outlet design included two large water features - a reflecting pool and an interactive fountain. 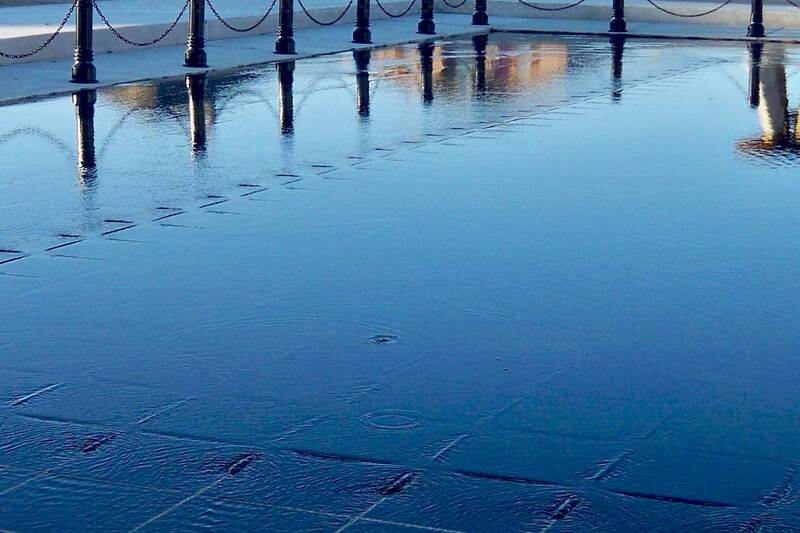 The reflecting pool was set up with seating for people to enjoy the reflection of the shops and enjoy the outlet. 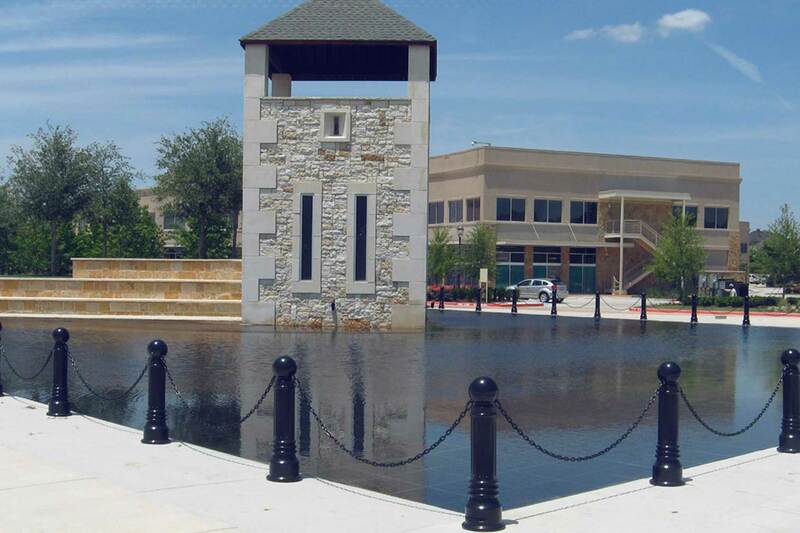 ClientBright Realty/Castle Hills Development Corp.
Delta Fountains designed both an interactive fountain and a reflecting pool at Castle Hills Village Shops & Plaza in Lewisville, Texas. 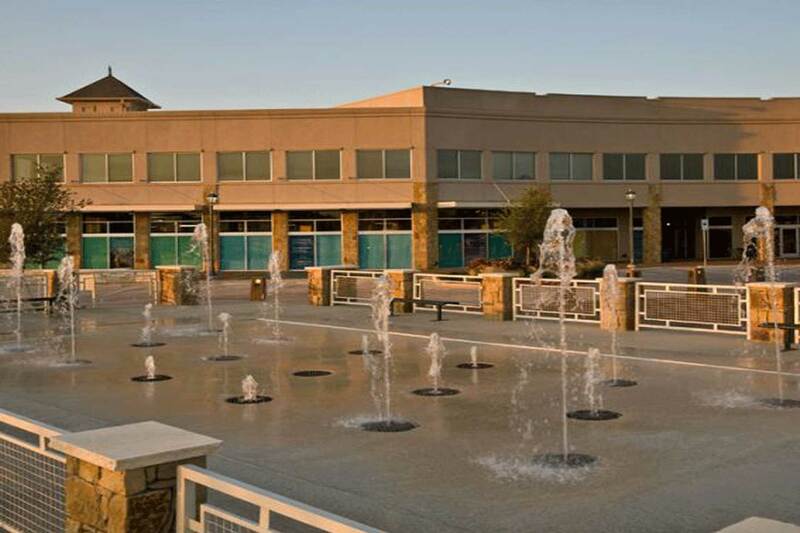 These water features are part of a central shopping plaza. 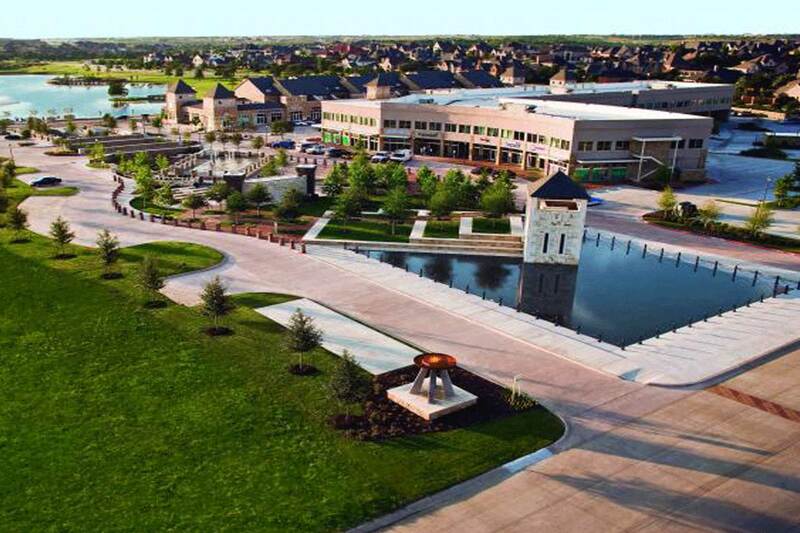 Castle Hills was voted 2012 “Community of the Year” by the National Association of Home Builder’s. The shopping developers wanted a way to keep visitors in their outlet longer, without disturbing the guests or shopping area design. 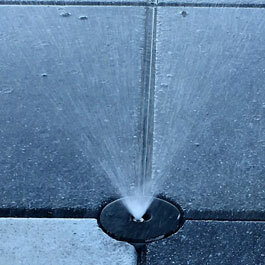 Delta Fountains helped create the two water features on the property. The first water feature, a classic reflecting pool, was created to give another layer to the landscape design. 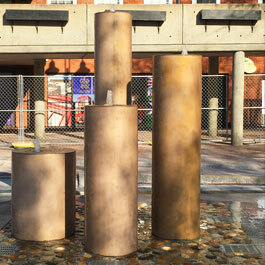 The interactive fountain was created to provide visiting families an area to entertain children. 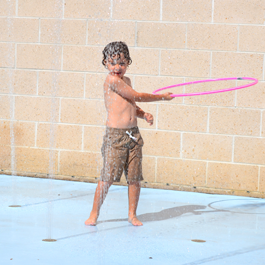 The interactive fountain is lined with seating to give busy parents a break while energetic youth play in the water.